The Crossings is a large planned community that includes unique neighborhoods, including single family, condo/townhome, and apartment communities that include Cardinal & Canterbury at the Crossings, Colony Cove, Greenwood Lakes, Hidden Village, Highlands of Lake Mary, Lakeview Village, Lakewood at the Crossings and Remmington Oaks at the Crossings, Regency Park at Lake Mary Condos and Sun Lakes Condos. 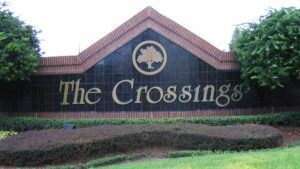 Overall, there are over 1,200 homes in The Crossings that were built between 1979-1995. Given the size and diversity home values in The Crossings range from the high $100’s to low $300’s with sizes from approximately 1,100-3,000 sq ft. Residents will enjoy this well-kept community, with charming neighborhoods, Reflections Park and the beautiful Jay Lake that winds through some of the communities and top rated Lake Mary Schools. Visit The Crossings Master HOA website for more info.